BAK Industries is one of the top manufacturers and suppliers of tonneau truck bed covers in the industry. 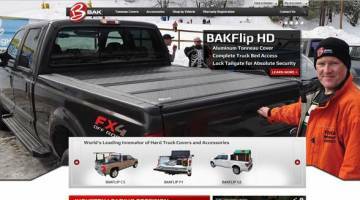 They strive to offer truck bed covers of the highest quality and are constantly pushing industry standards in that regard. They came to Web Shop Manager for a website solution that could easily expand along with the company.